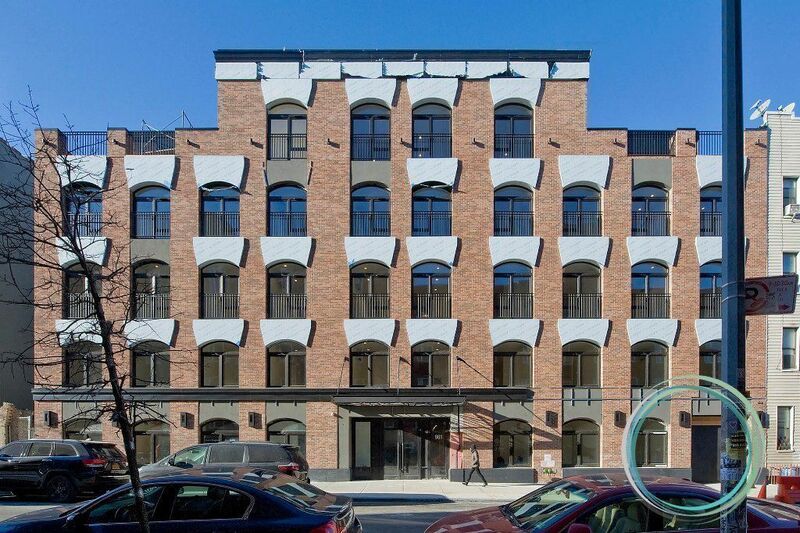 A new affordable housing lottery has opened at 16 Charles Place in Bushwick, offering eight affordable units to low and moderate-income renters. Rents start at $856 for studios and run to $1,114 for 2-bedrooms, varying with income. Designed by architect Karl Fischer, this building will offer high-end amenities, including private balconies and terraces, quartz countertops, and custom cabinetry. Although price information for market-rate 1 -bedroom apartments are not available, 2-bedrooms start at around $2,438. Applicants to the current housing lottery have a chance to land 2-bedrooms at a 50 percent discount of over the market rate units. Interested renters should apply through NYC Housing Connect before the deadline of March 6, 2018. The new, five-story development is steps away from the J, M and Z trains at Myrtle Avenue, a major bonus considering the impending L train shutdown. It will offer 39 units, eight of which are designated as affordable and are available through this housing lottery. It also doesn’t hurt that the apartments are close to some tasty eats, including Chuko, Little Skips, and Archie’s Bar and Pizza. Who Should Apply for the 16 Charles Place Affordable Housing Lottery? 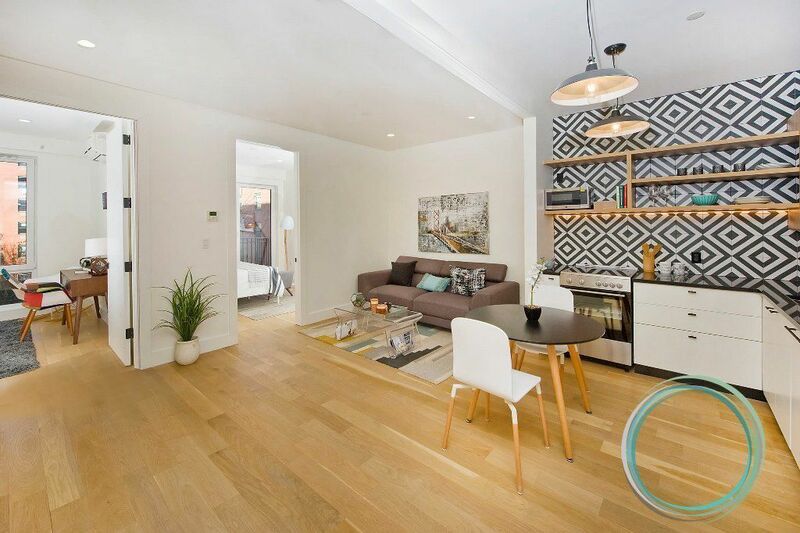 To apply for one of the eight available units at 16 Charles Place, you must meet the household size and income requirements, which are 60 percent of the area median income (AMI). That translates to a household income between $29,349 and $57,240, depending on family size. There are other criteria that may impact the selection process. Current residents of Brooklyn Community Board 4 and current municipal employees receive special preference in the application process. Applicants with disabilities impacting their audio, visual or mobile facilities also receive special preference. You can apply online here. If you qualify, you will have an interview to review and confirm your eligibility. Interviews typically occur between two and 10 months after the application deadline. Be sure to go to the interview prepared. Bring documents that verify your household size, the identities of those in your household, and your household income. The deadline to apply is March 6, 2018.